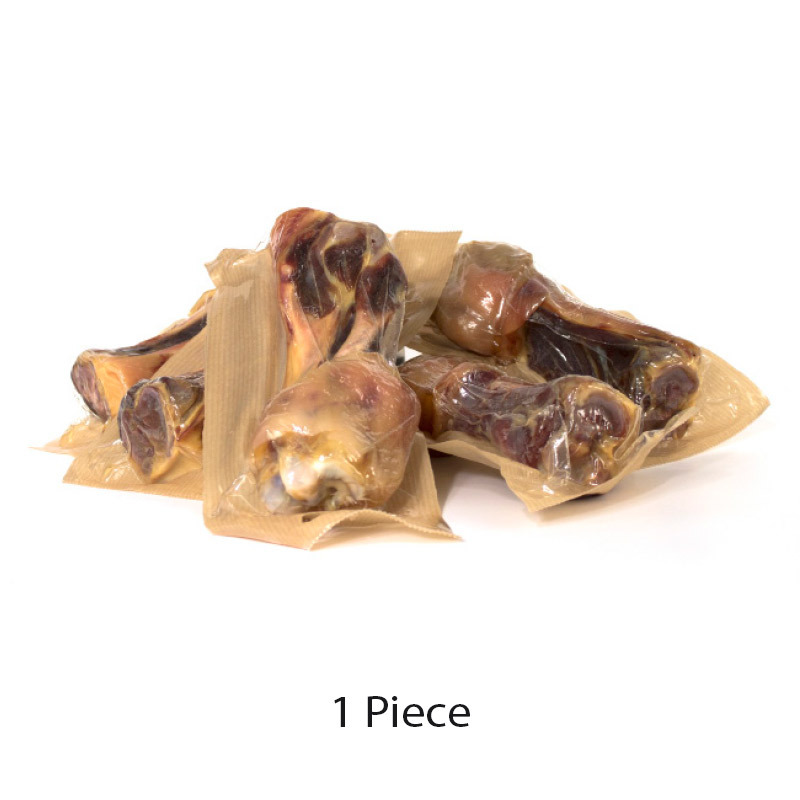 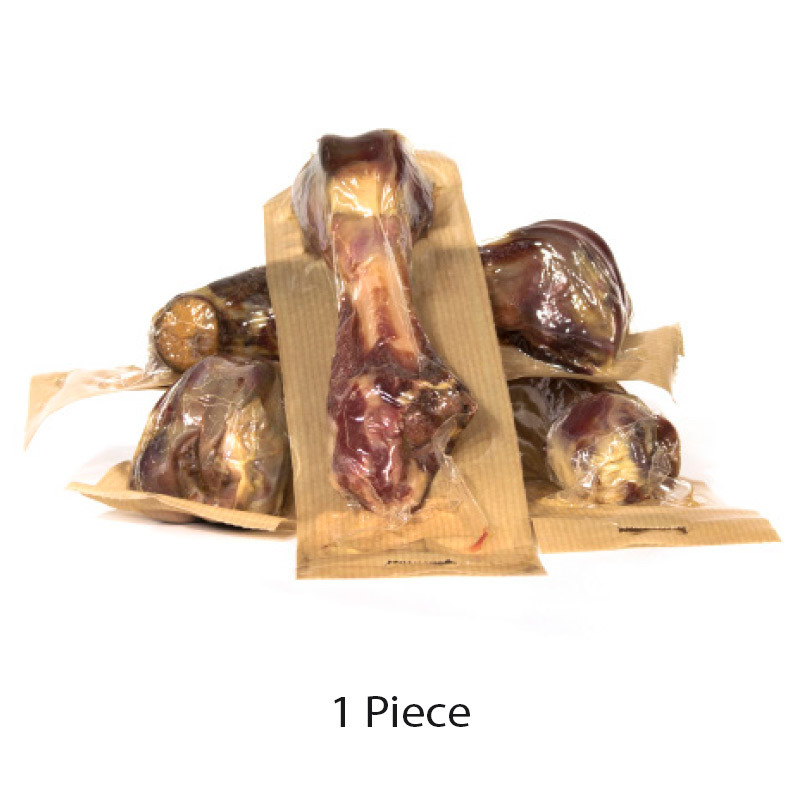 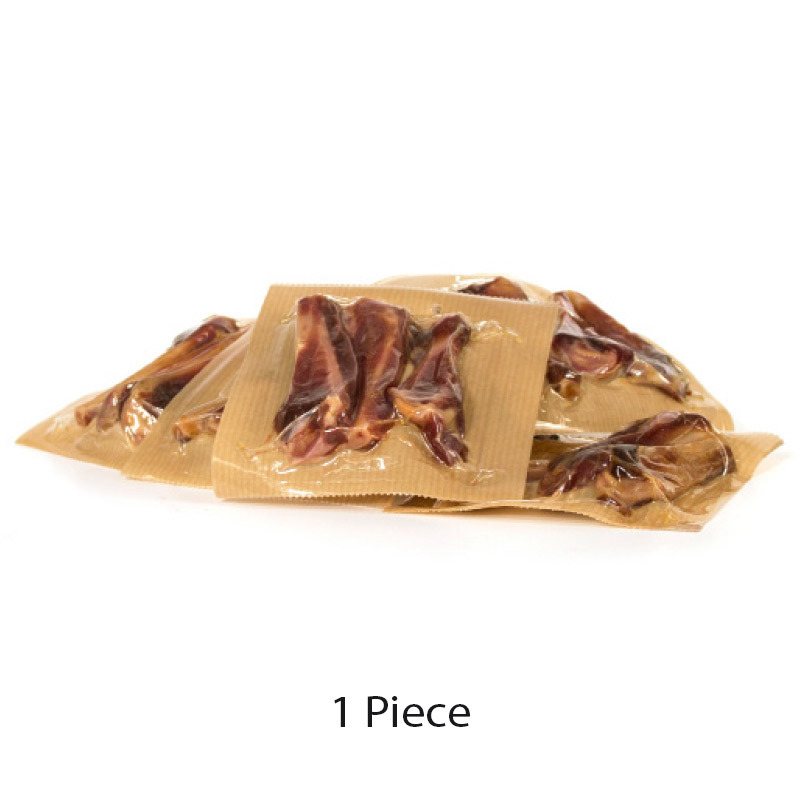 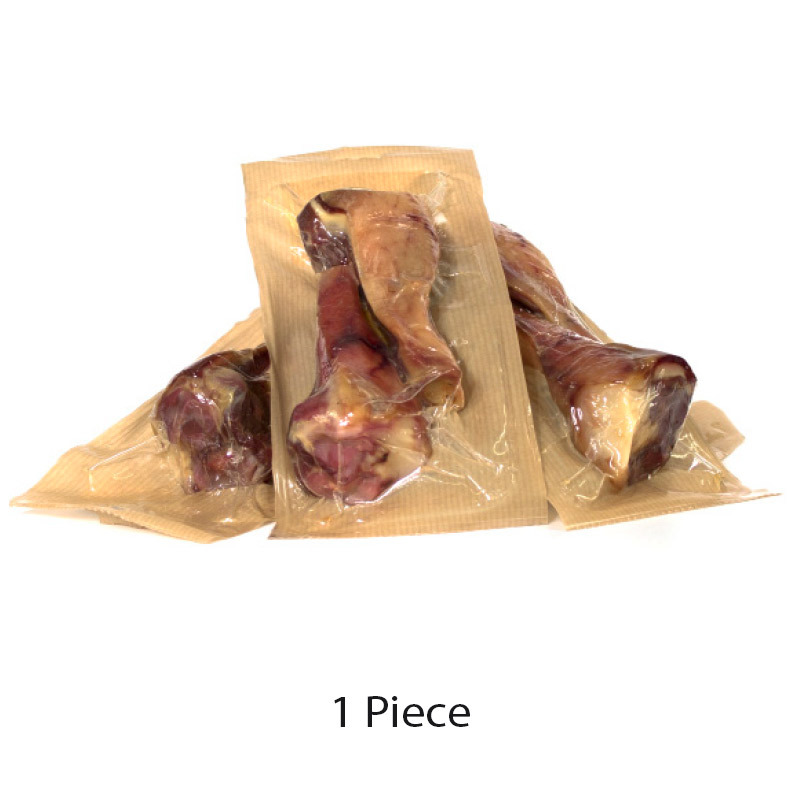 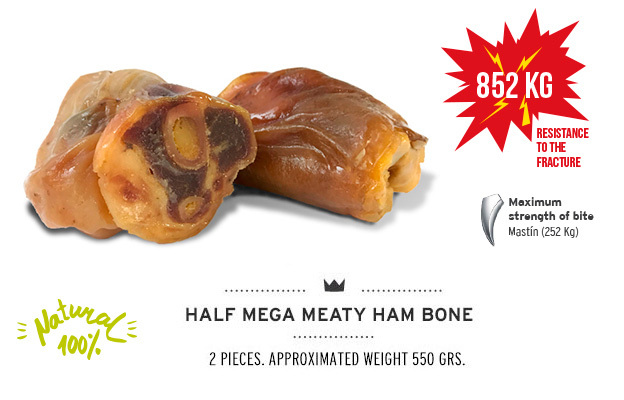 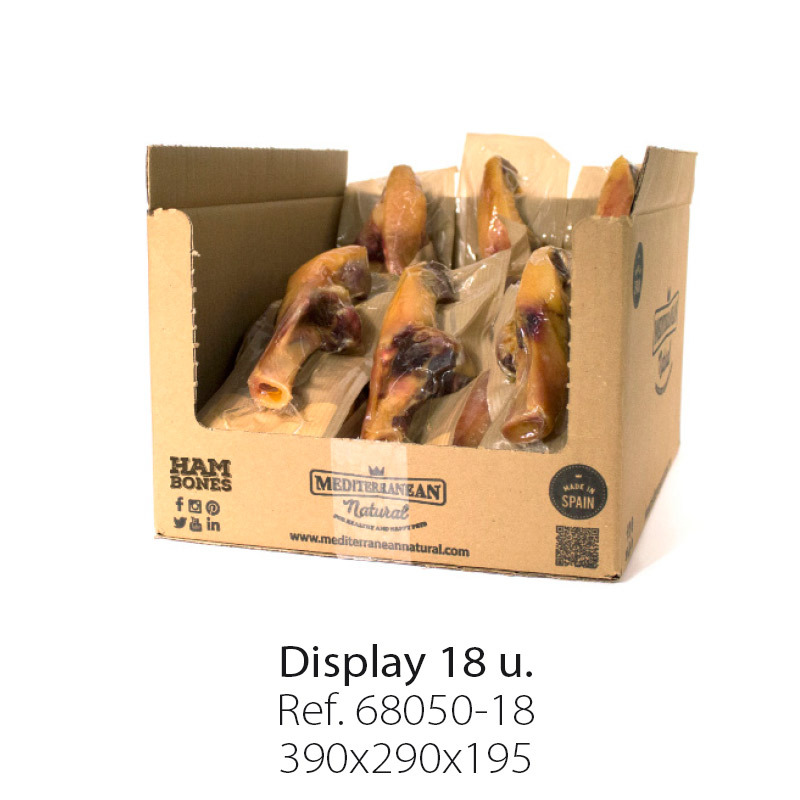 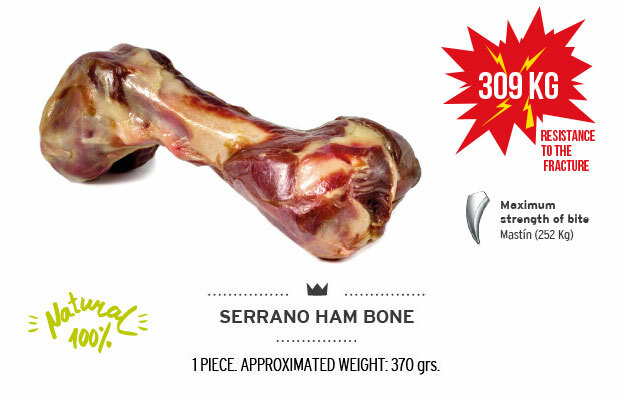 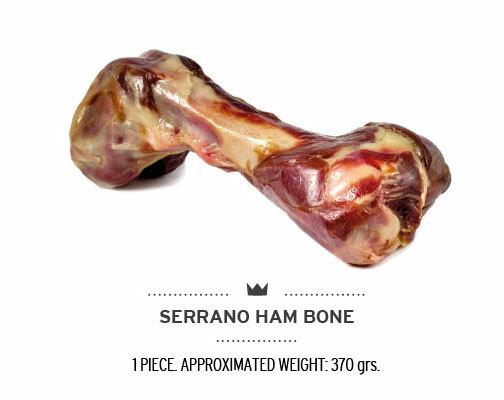 Mediterranean natural | Serrano Ham Bones for dogs of Mediterranean Natural: small ham bone, half ham bone, mega bone, ham knuckle and ham trotter. 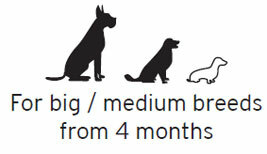 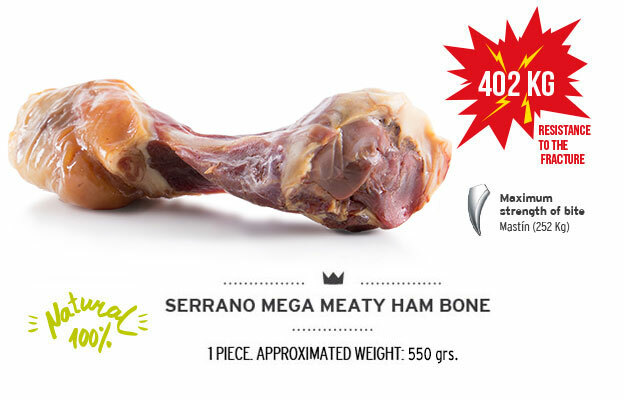 Mediterranean Natural, together with the Department of Animal Physiology of the University of Murcia, has carried out a fracture resistance study of our Serrano Ham Bones whose results show that they are safe for dogs as long as they are administered according to our recommendations (each bone is indicated for dogs of different sizes). 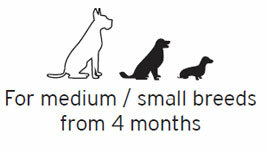 Check here the results of this study. 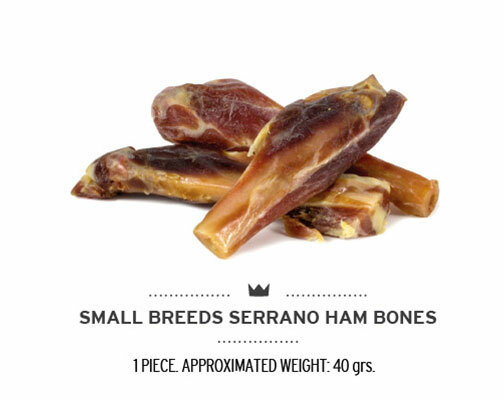 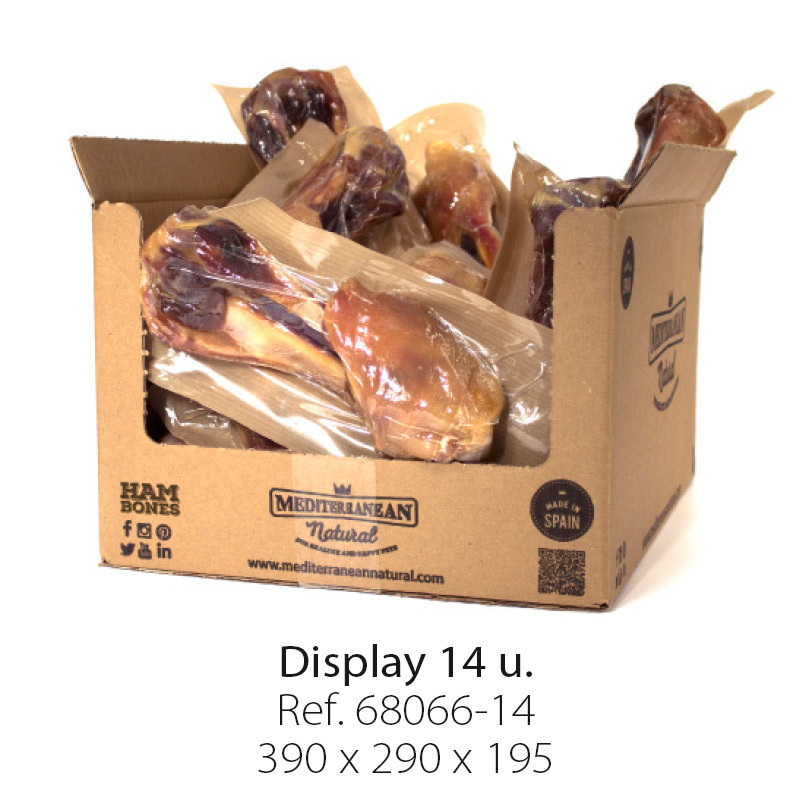 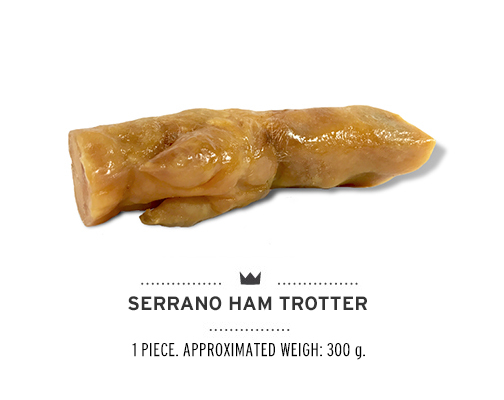 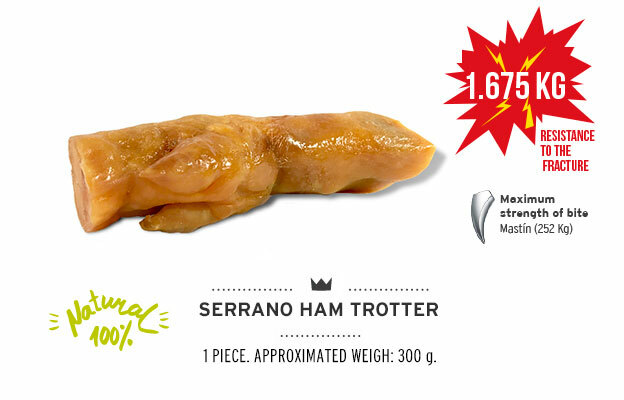 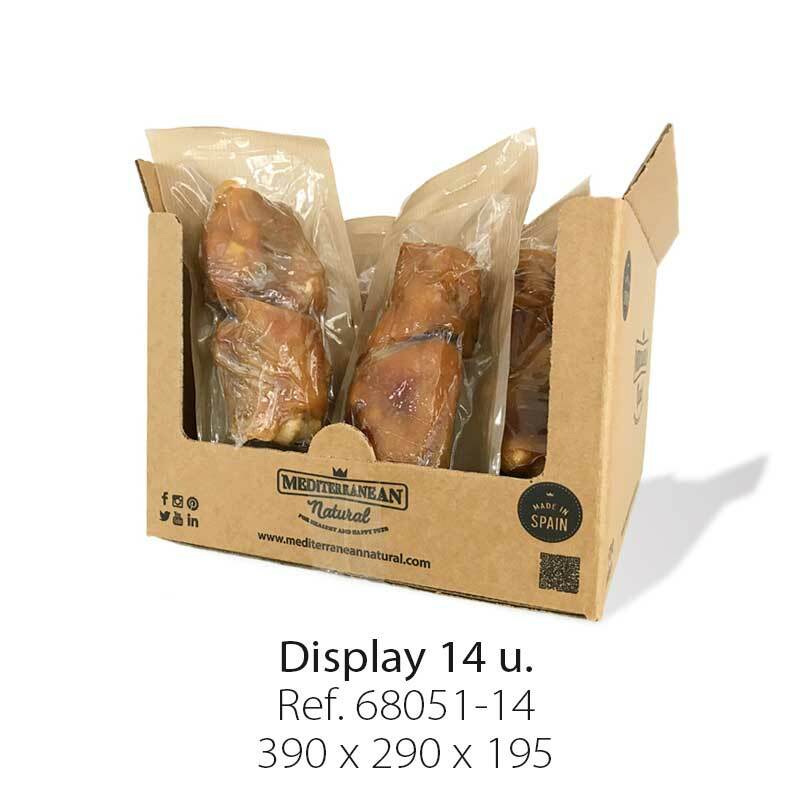 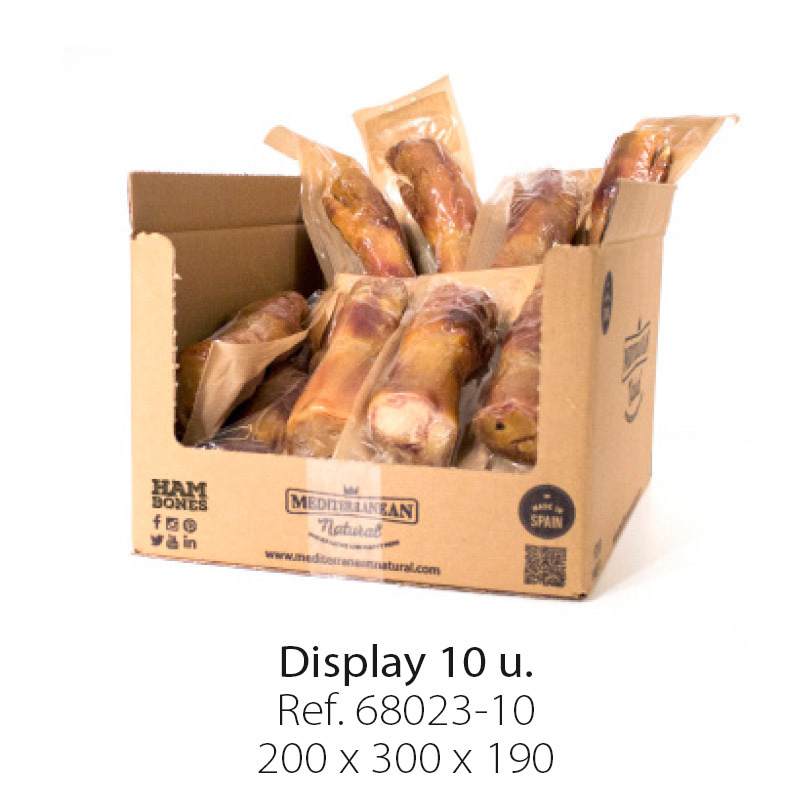 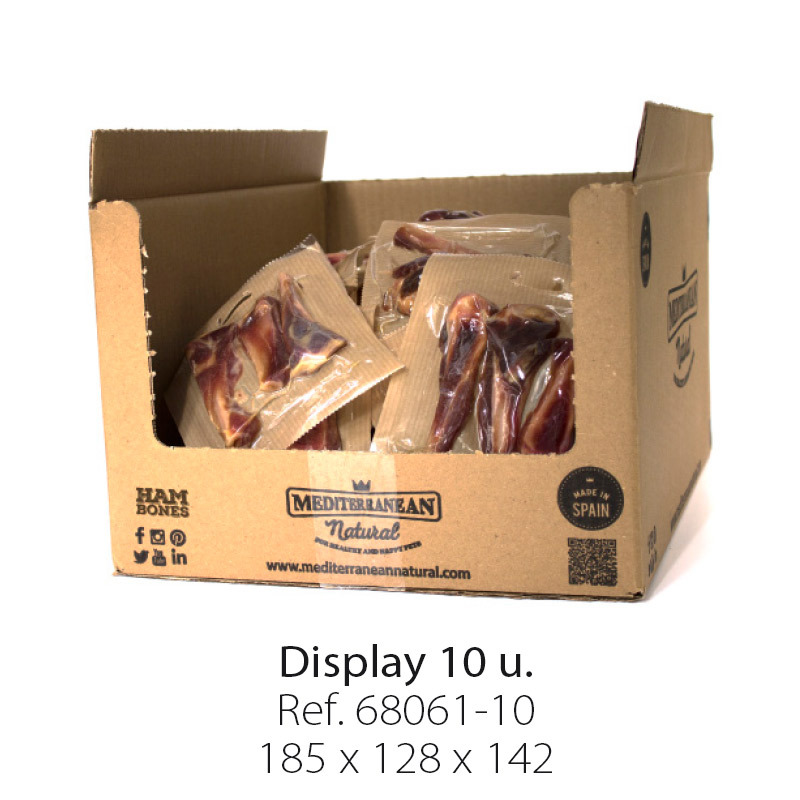 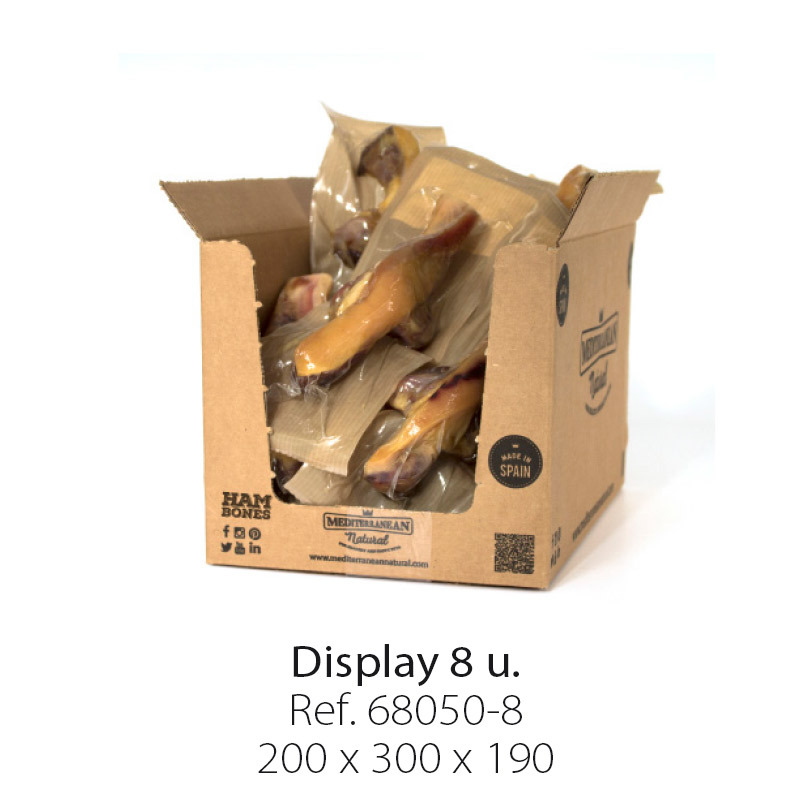 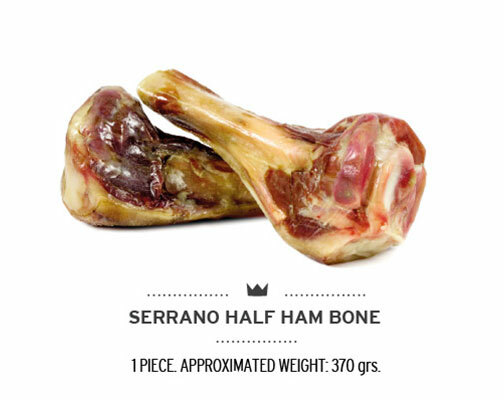 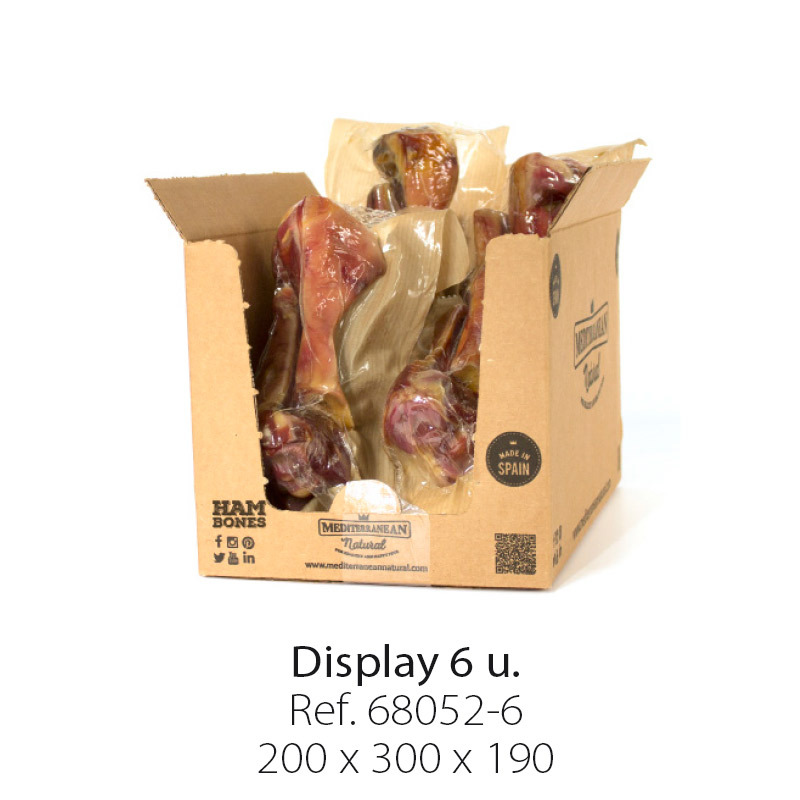 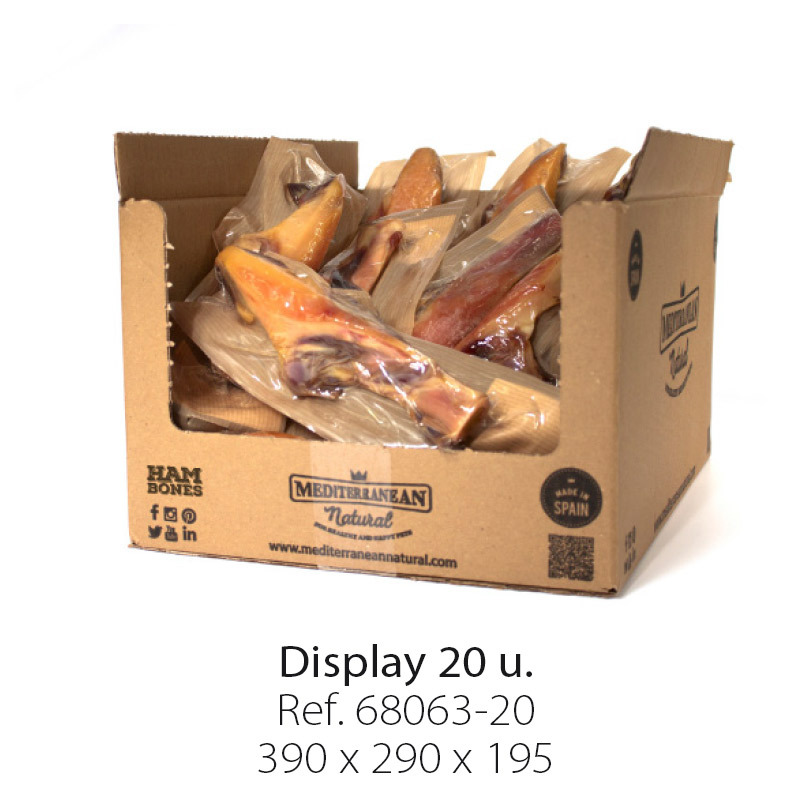 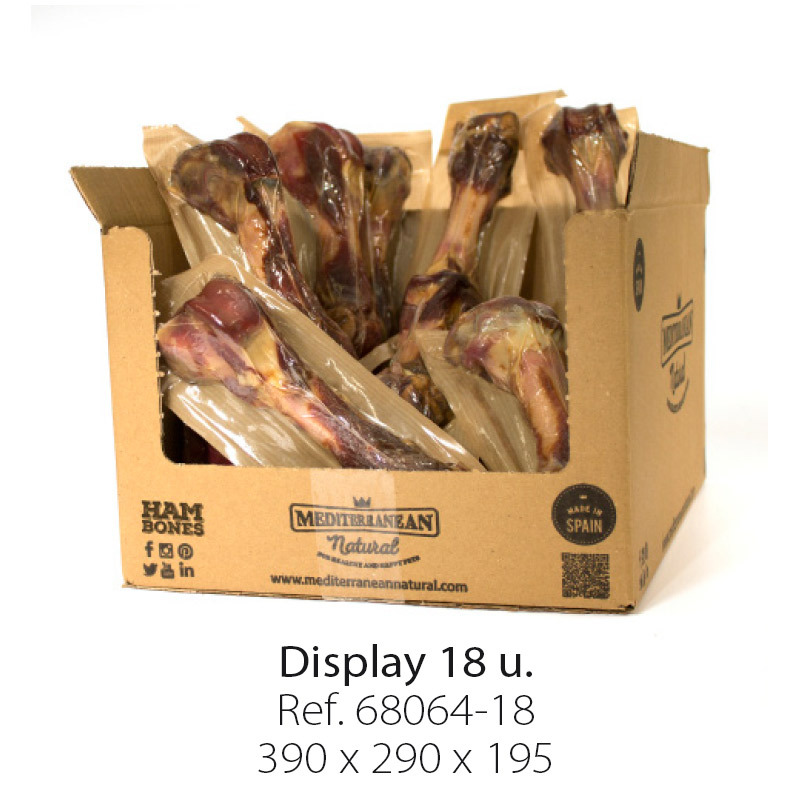 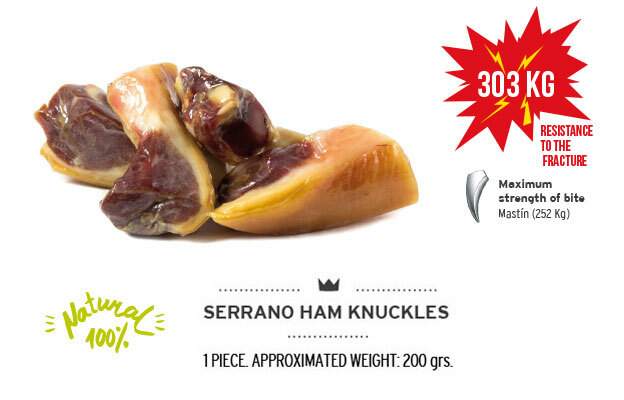 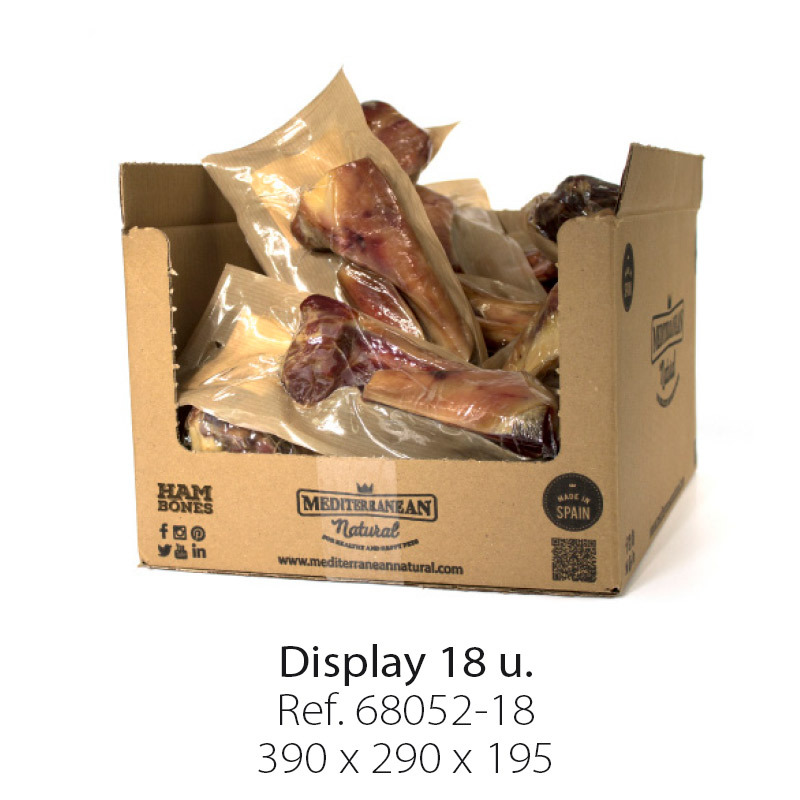 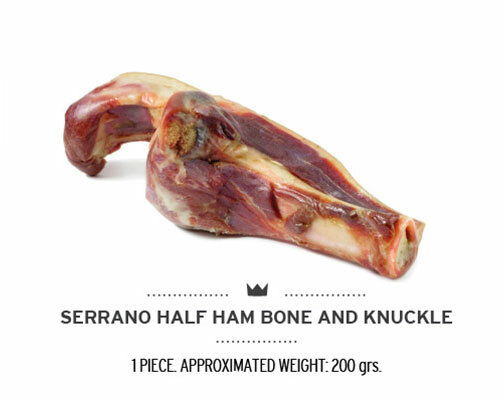 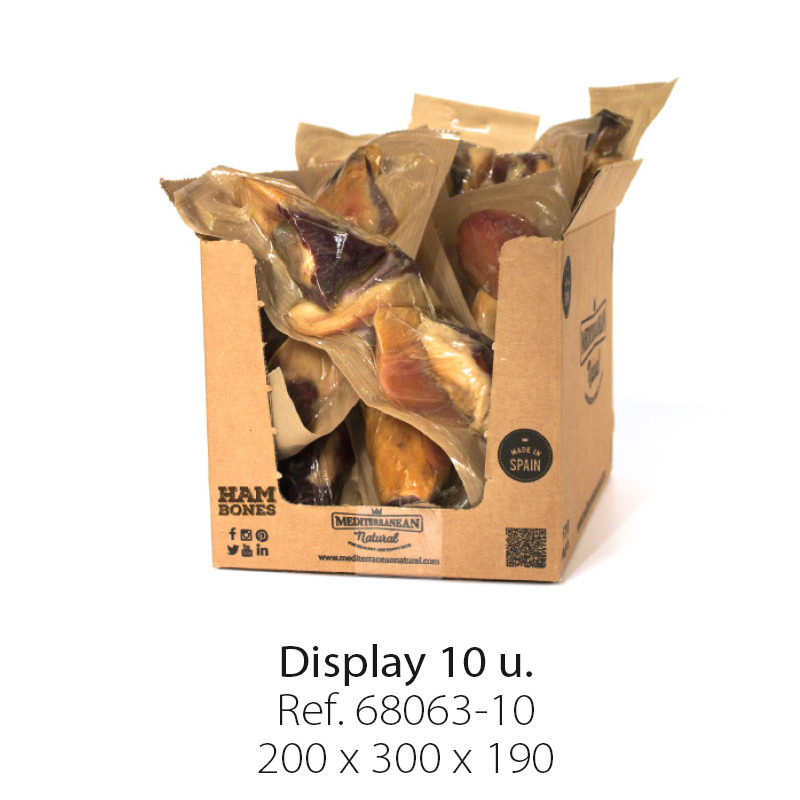 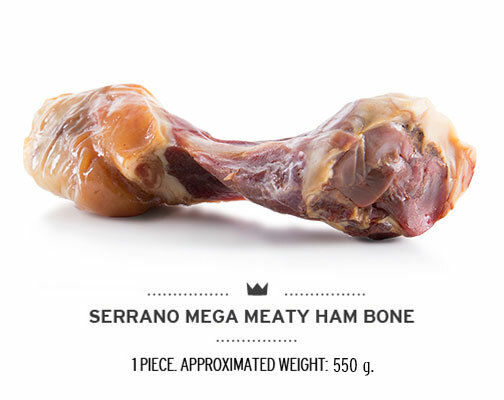 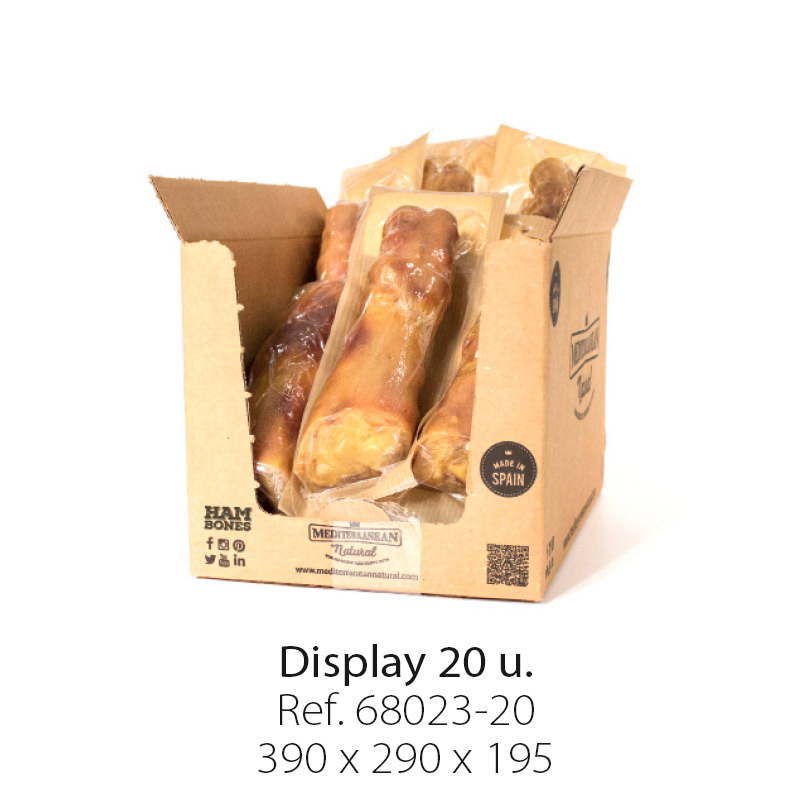 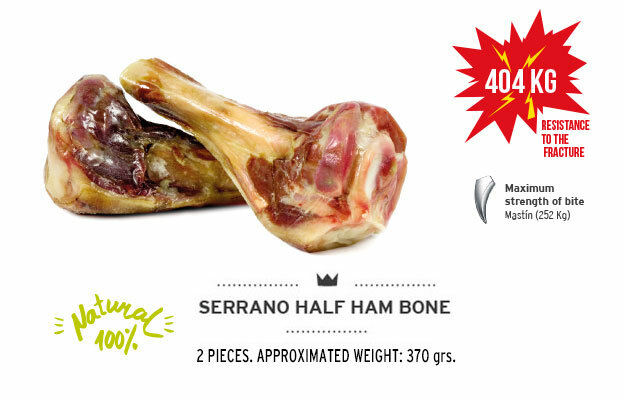 Serrano Ham Bones of MEDITERRANEAN NATURAL are a 100% natural and hypoallergenic product. 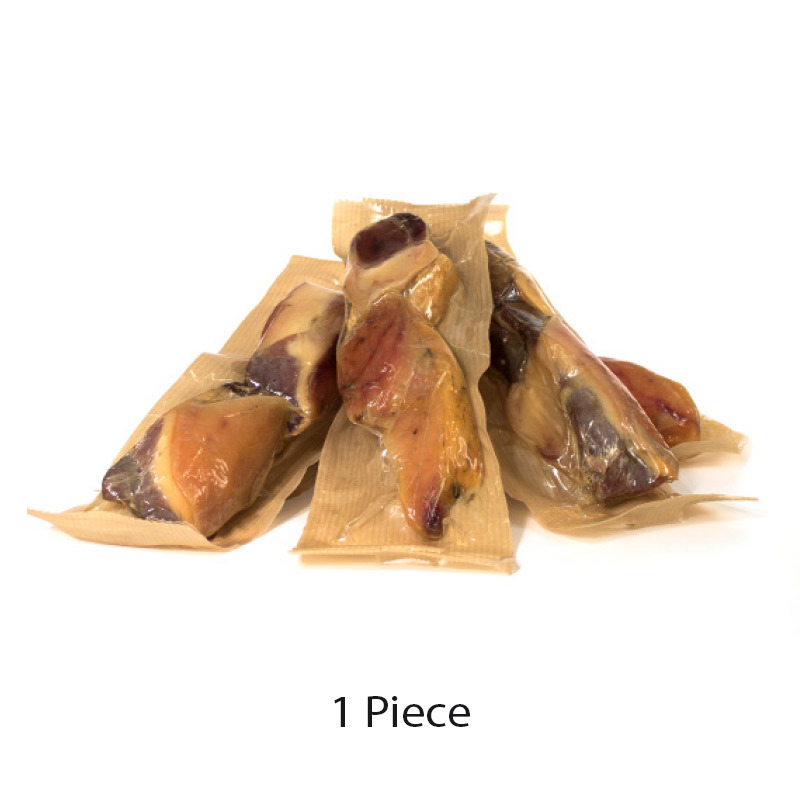 They are natural source of oleic acid and gluten free product. 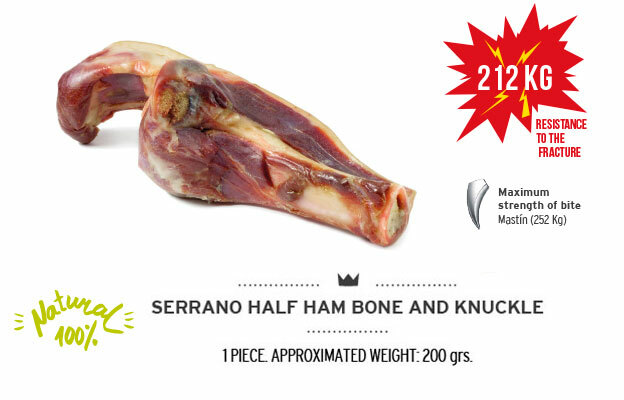 ½ ham b 2 pc. 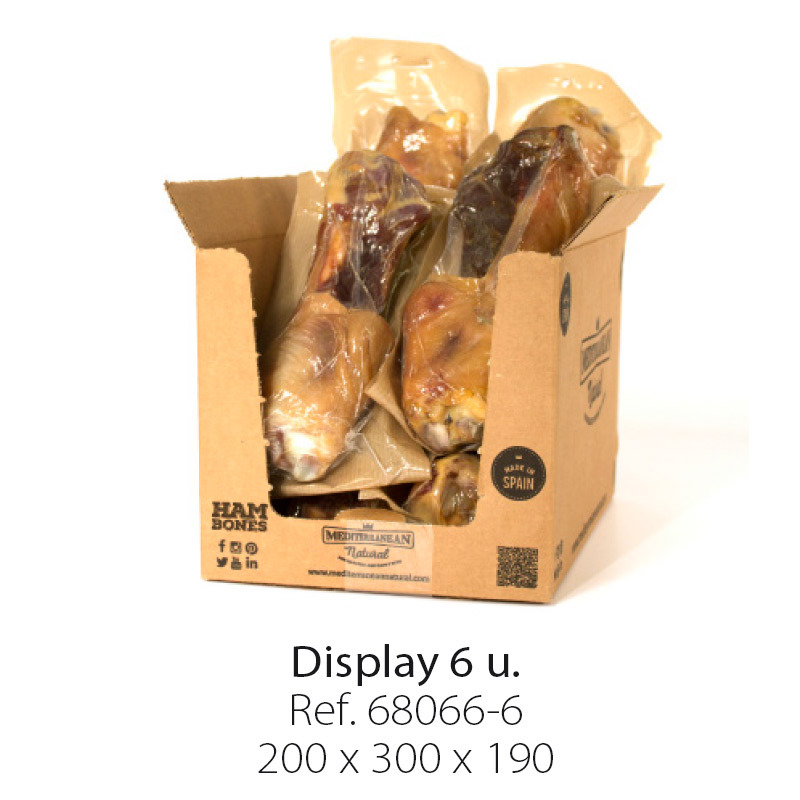 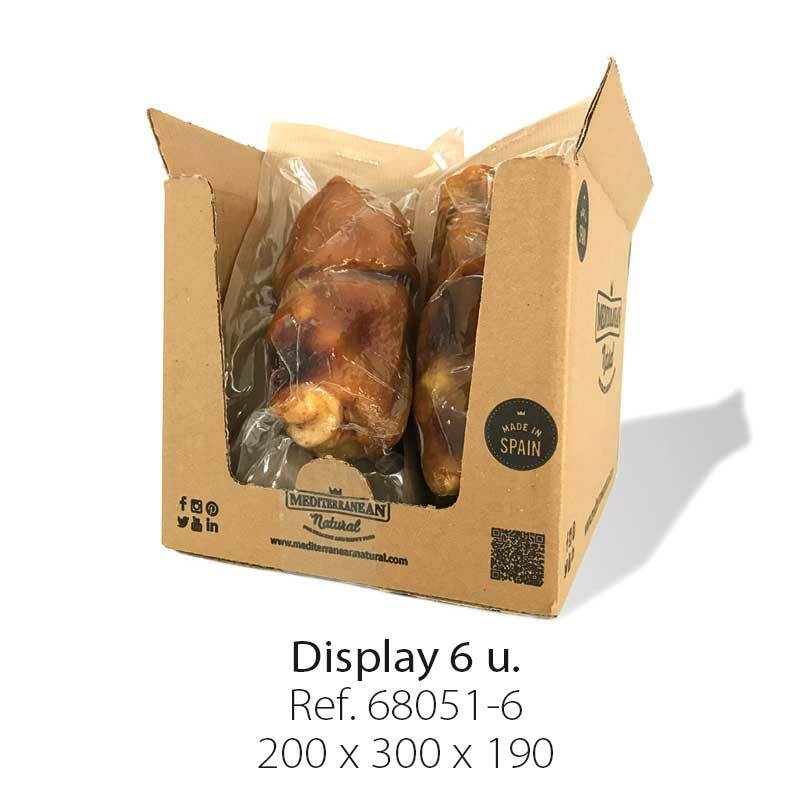 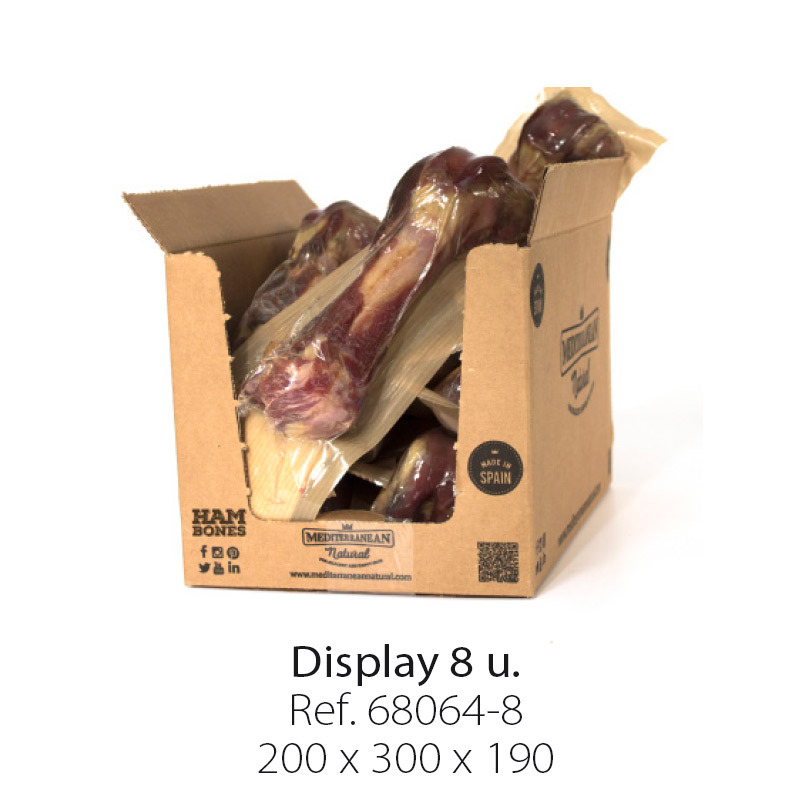 ½ ham b 1 pc. 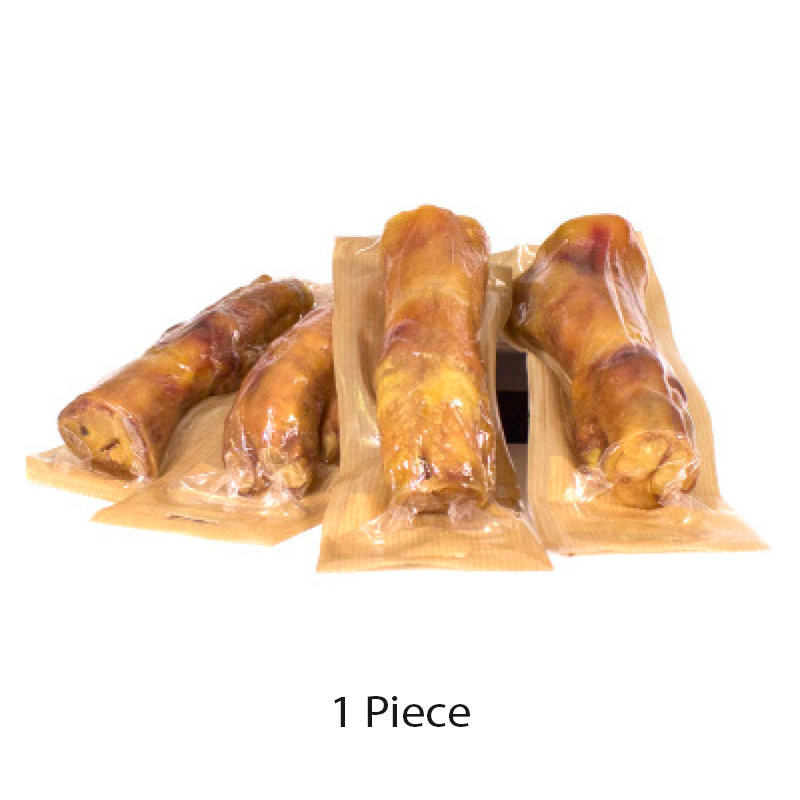 We recommend one bag per week. 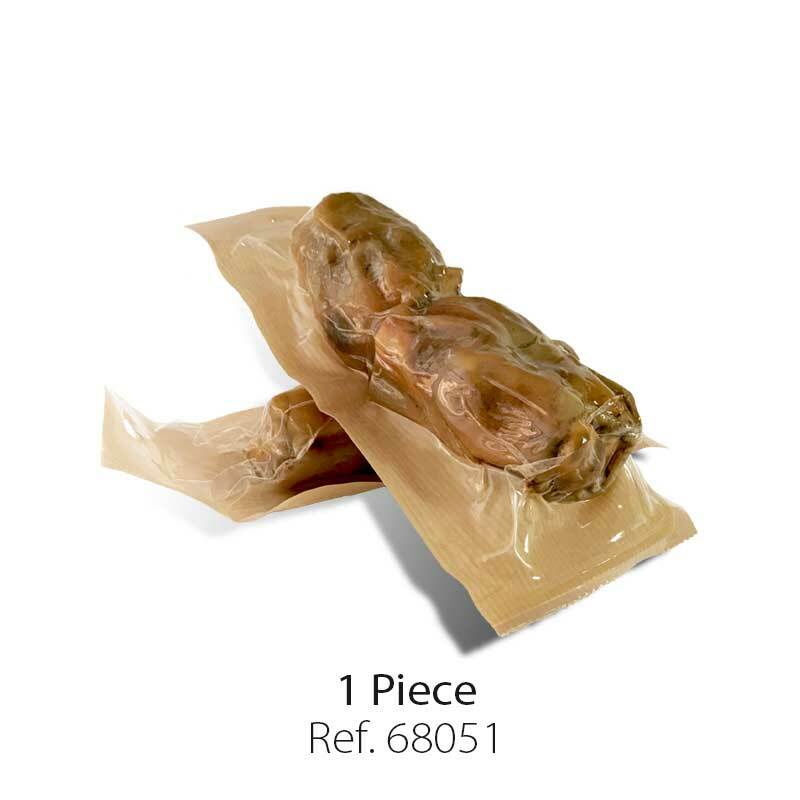 Indirect traction analysis by means of a multi-volume electric press with a 20-ton load cell Servois ME-402/20. 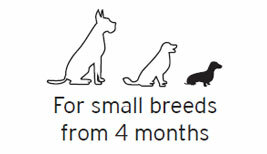 Test carried out by the University of Murcia. 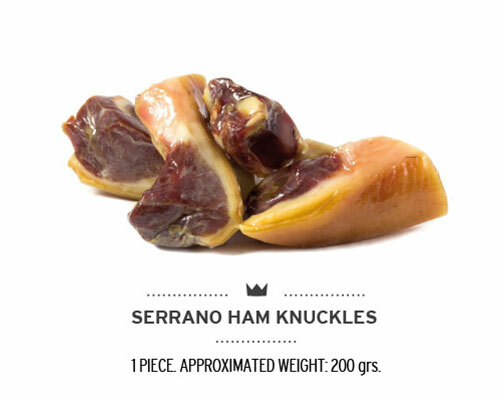 Excellent source of protein, phosphorus and calcium. 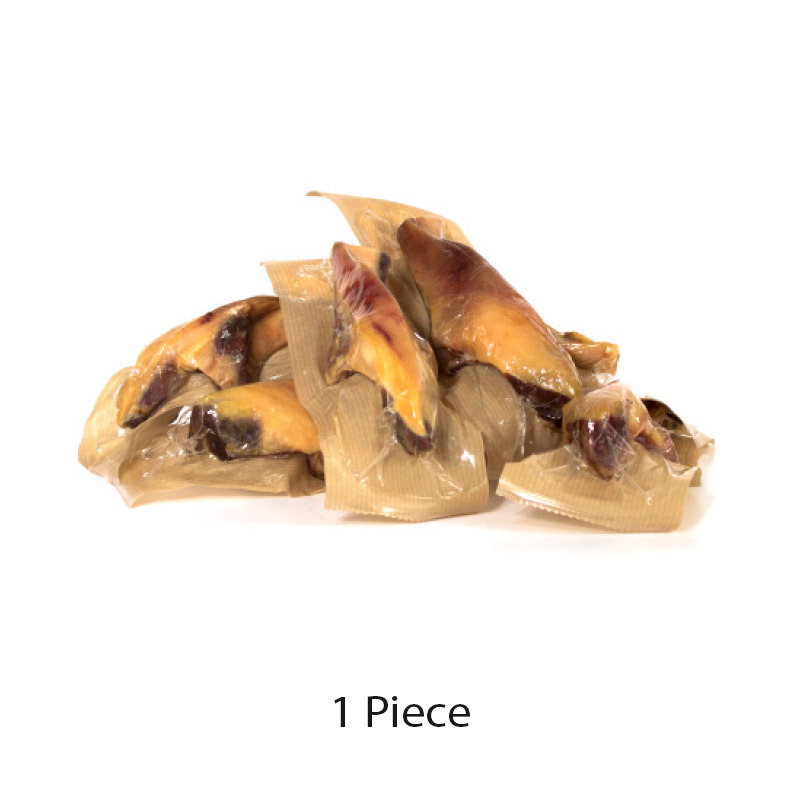 Perfect for eliminating tartar and strengthening gums. 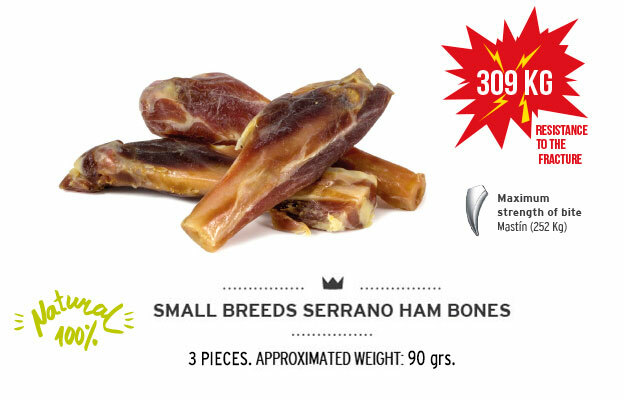 We recommend one bag of 3 bones per week. 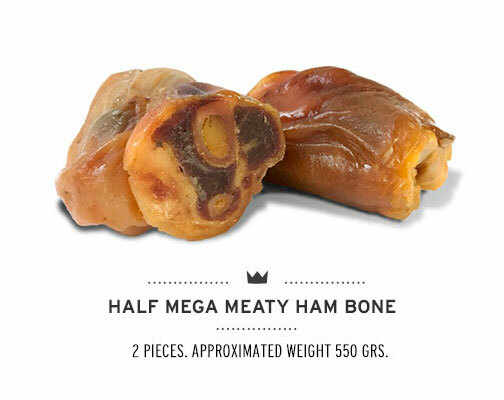 We recommend one per week.